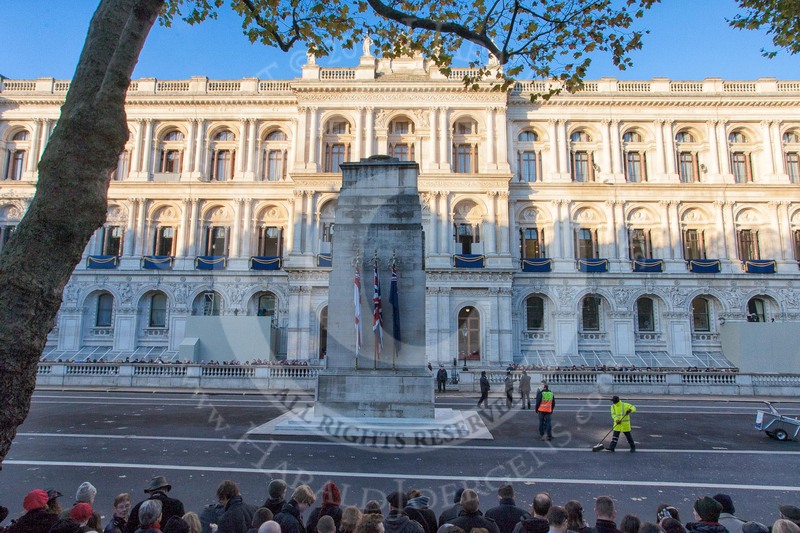 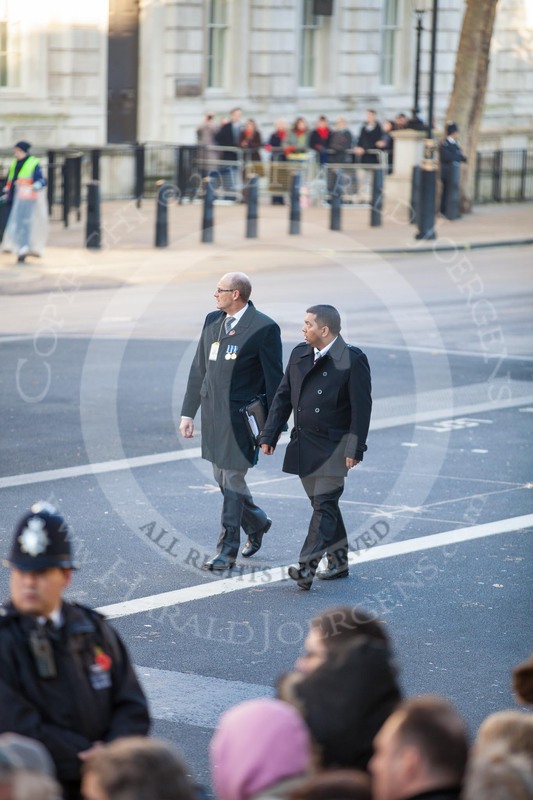 You may also be interested in the March Past, and the Cenotaph Ceremony 2015, 2014, and 2013. 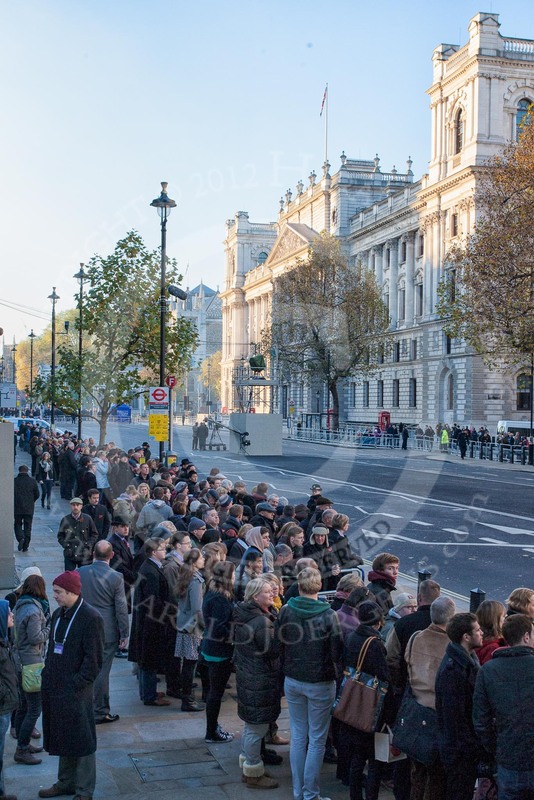 Whitehall at the morning of Remembrance Sunday 2012. 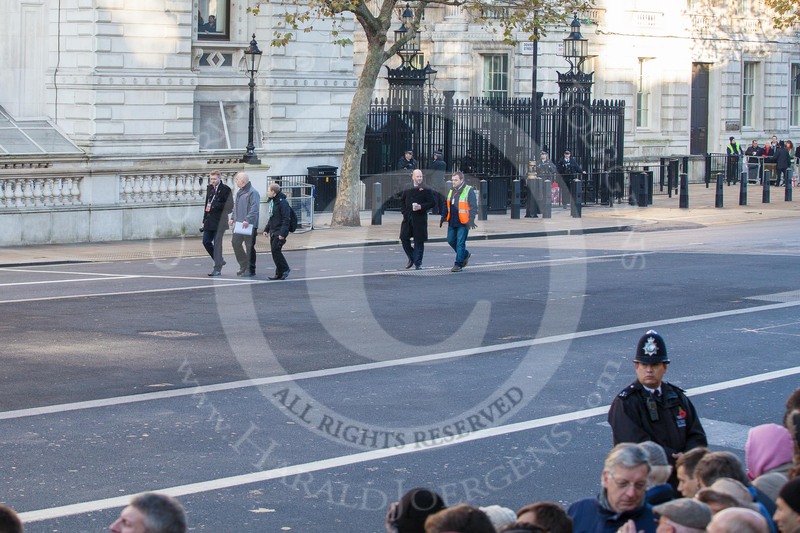 On the right the Treasury building, in the centre of Whitehall a stand for BBC Television. 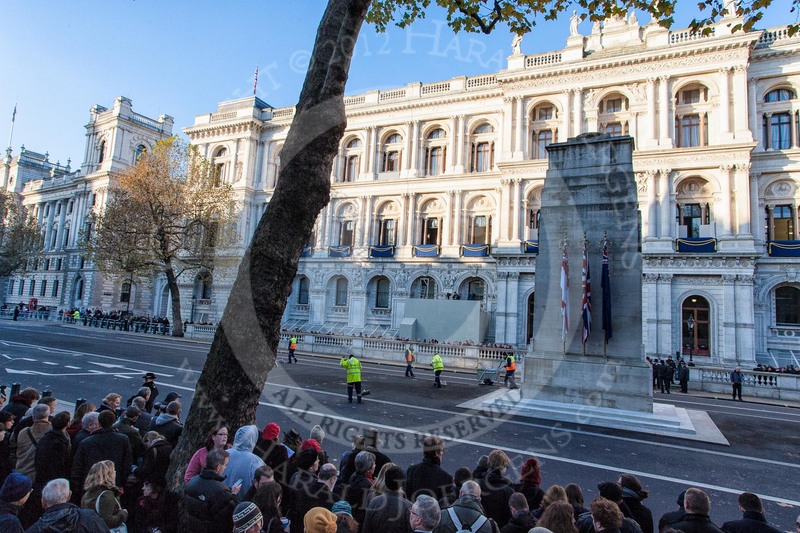 The Women of World War Two Memorial, and behind, at the ed of Whitehall, two big TV screens for public viewing. 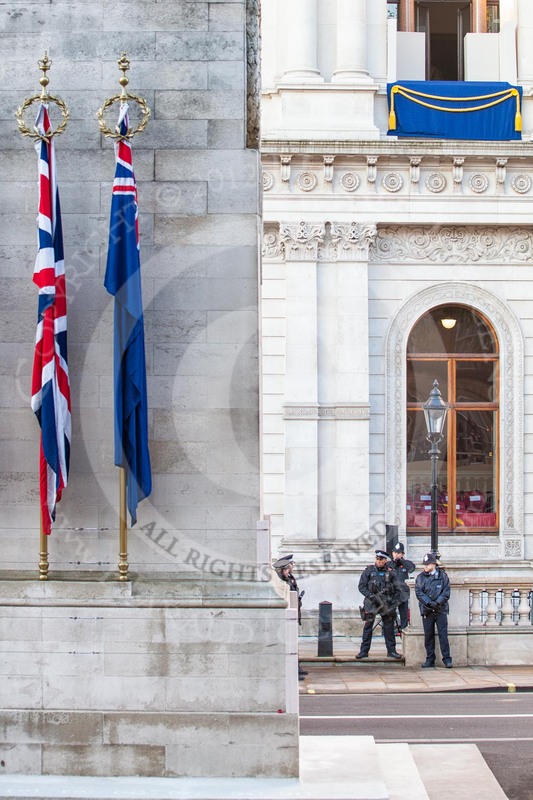 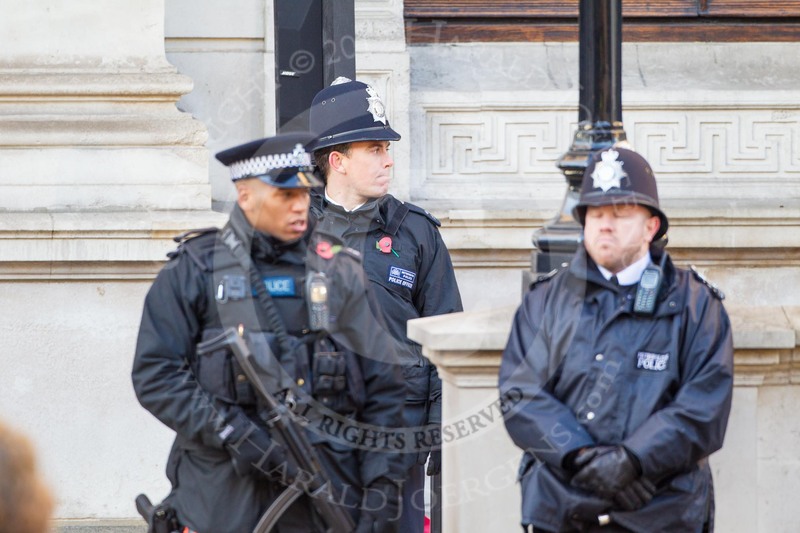 Tight security at Whitehall - Metropolitan Police officers, including Armed Police, in front of the Foreign and Commonwealth Building. 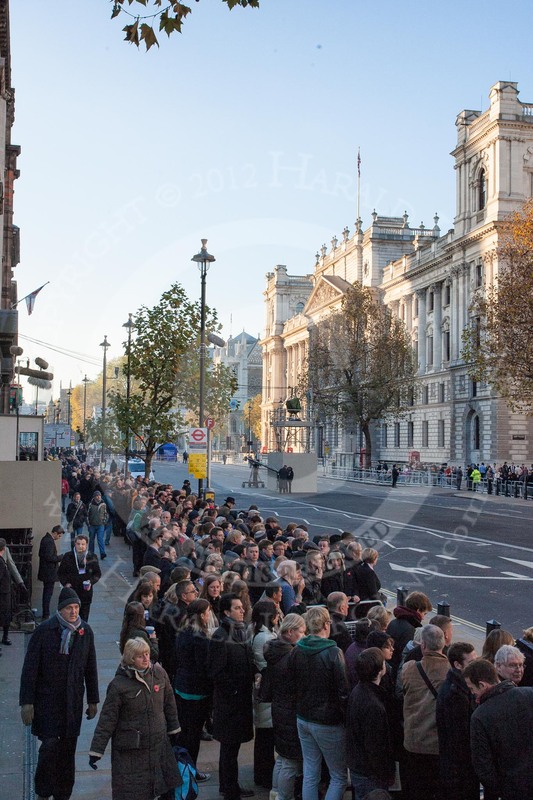 Whitehall, looking to the west, in the morning of Remembrance Sunday. 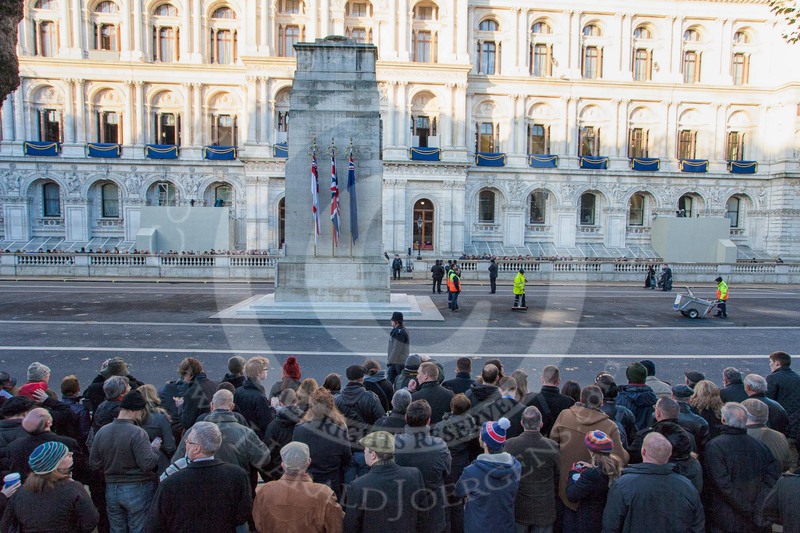 Despite the early hour, and the security checks on both sides of Whitehall, a large crowd is building up. 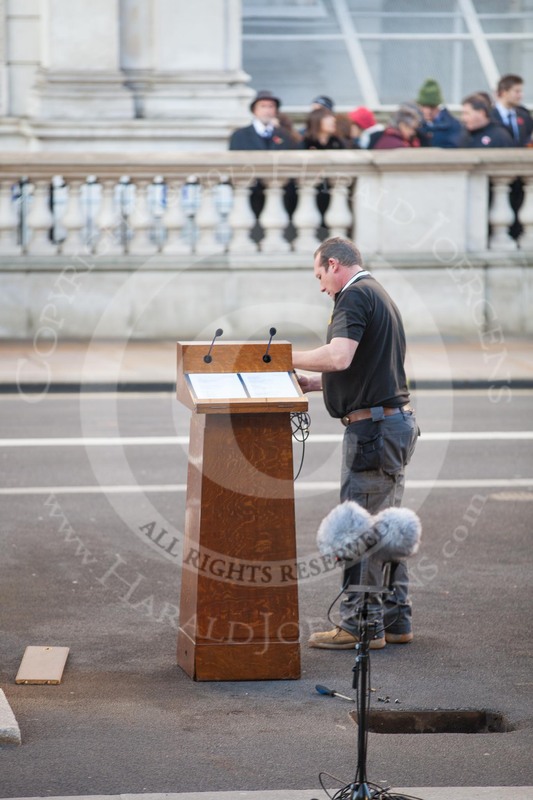 Setting up the microphones for the service that will be given later - technician at work next to the Cenotaph. 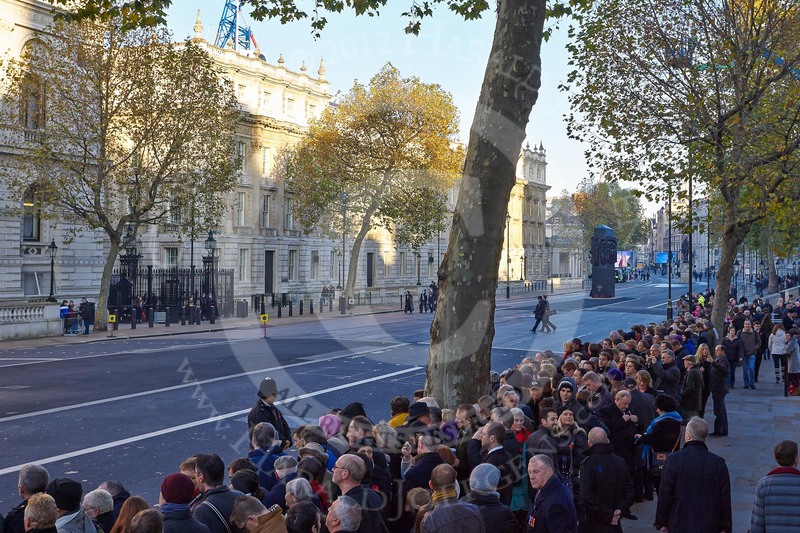 Whitehall, and the southern entrance gate to Downing Street, in the morning of Remembrance Sunday. 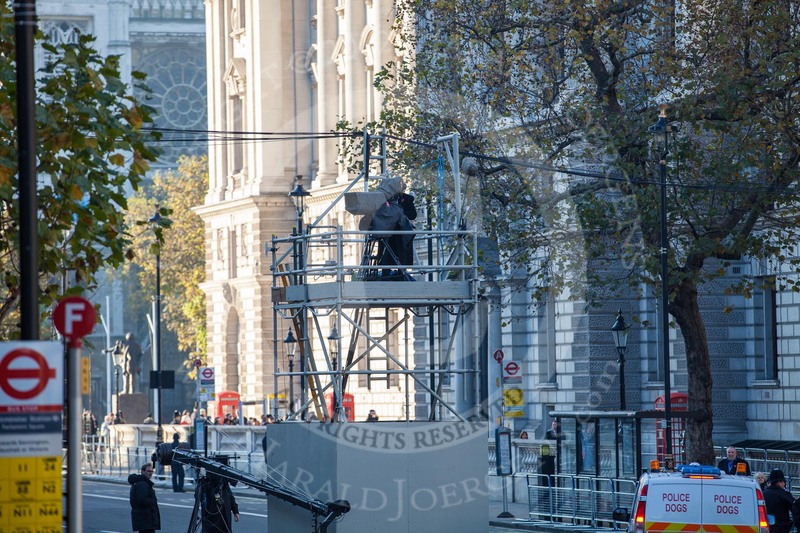 A temporary scaffolding structure set up in the middle of Whitehall for one of the BBC/SIS cameras. 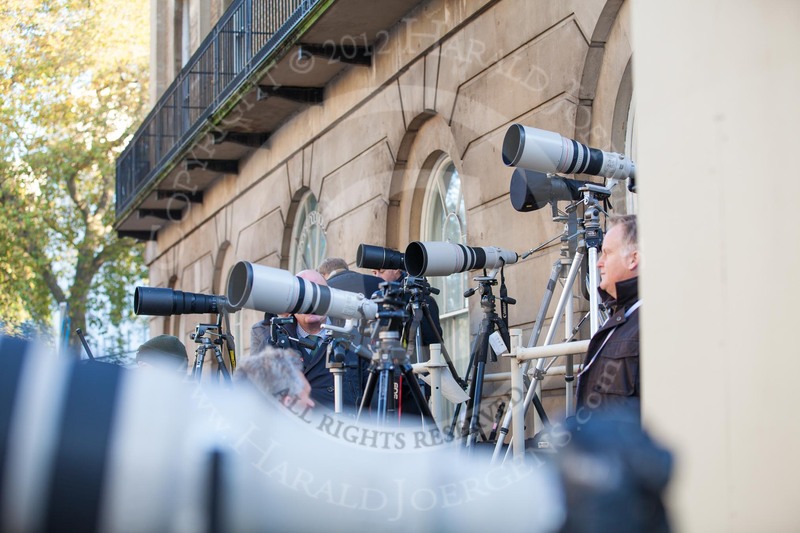 Photographers, cameras, and very long lenses on the media stand opposite the Foreign- and Commonwealth Office Building. 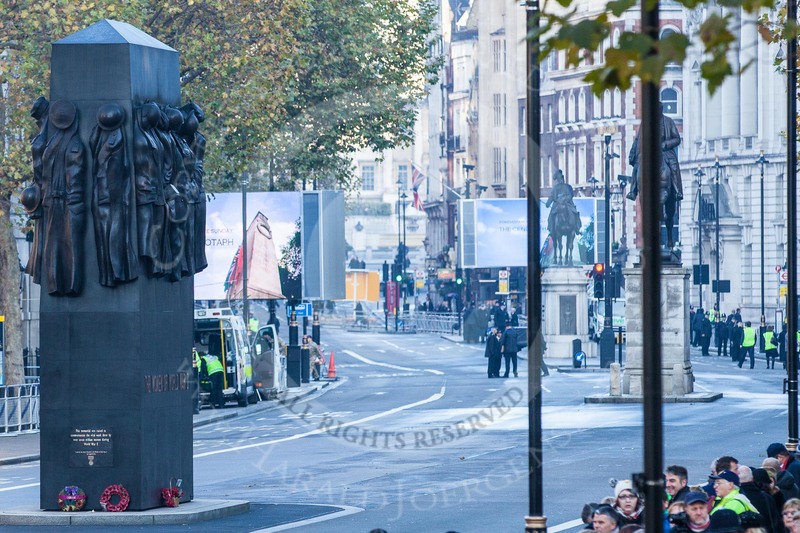 Preparations for Remembrance Sunday on Whitehall. 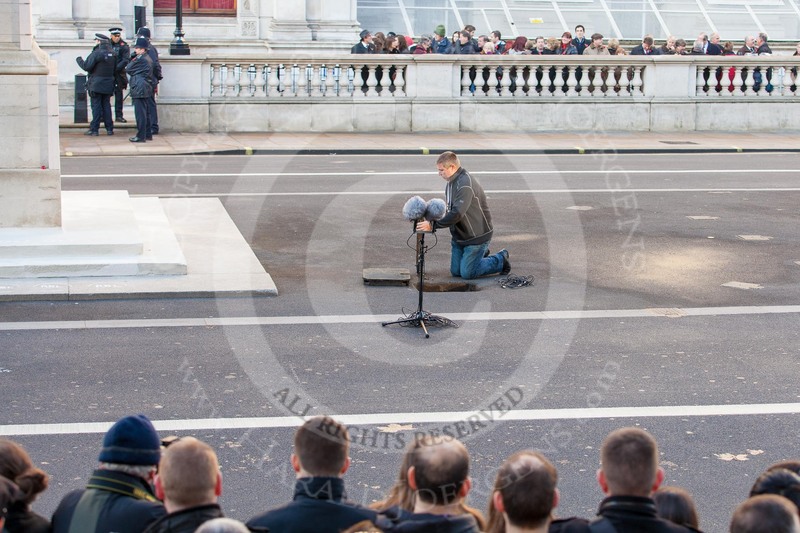 Preparations for Remembrance Sunday on Whitehall - the pulpit used for the service later is set up and wired.